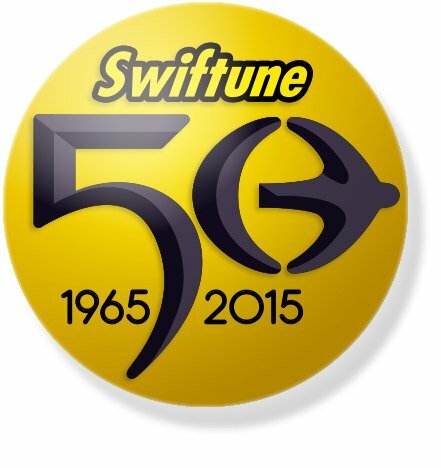 Celebrating Swiftune’s 50 year anniversary in 2015. We needed to create a brand perfectly designed for Mini merchandise including wheel centre caps, grille badges, keyrings and steering wheel centres. 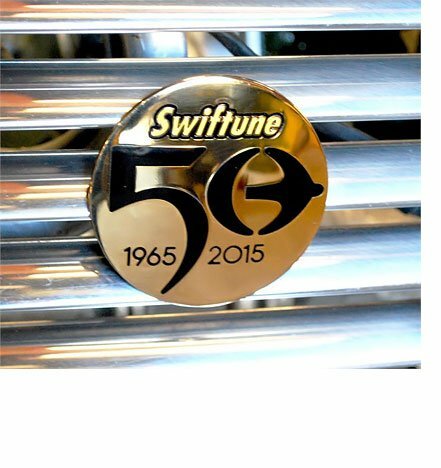 Swiftune 50 year anniversary branding included celebratory enamel grille badge given to customers to thank them for 50 years of loyalty, success and some great memories. 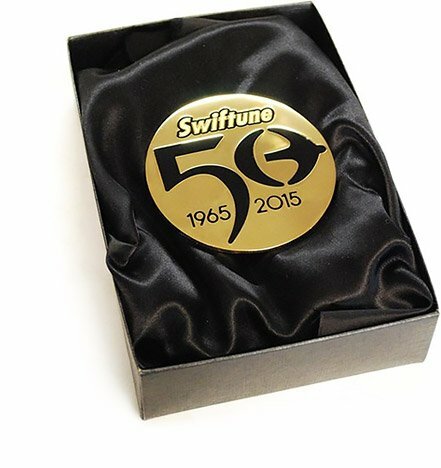 Swiftune 50 year anniversary branding also included celebratory enamel grille badge in its gift box. 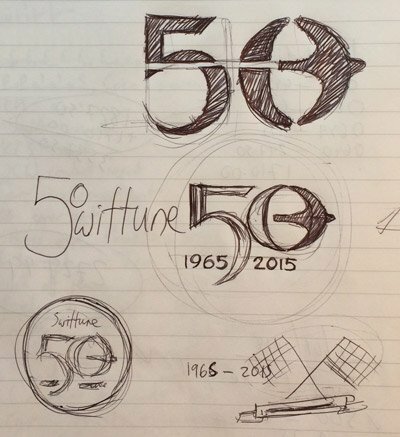 Swiftune 50 year anniversary branding motif used in print and online. Designed as a 3D badge to connect it closely to the 3D merchandise seen at events (or received in the post if you’re lucky). Sketching is how we learnt to play with our ideas as children so it’s still the most natural way to develop them now. It’s a fluid and liberated way to work and makes it easier for us to put real personality into our work, rather than just technology. This is fundamental to the way we work and to the unique solutions we bring to your project.